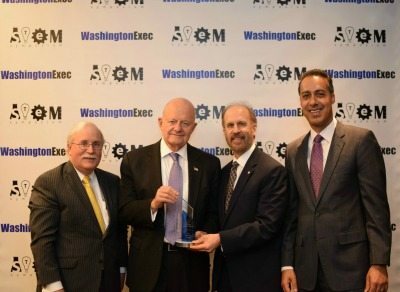 Retired Air Force Lt. Gen. James Clapper, the former director of national intelligence, spoke to the WashingtonExec Leadership Council yesterday evening at the McLean Hilton. Reflecting on his career over the last 50 years, Clapper discussed how the intelligence community has evolved alongside technology and society. The honor is given to those who showcase true leadership in the face of tough decisions and/or unpopular opinion. Throughout his military and civilian career, Clapper has spearheaded inclusion and diversity efforts and pushed for improved collaboration across and within the community.